Google spent years ignoring Google Voice, but it finally revamped the app and website in 2017. It also promised to keep the updates coming, and it's been doing that so far. In the latest update to the Voice app, you can finally manage your voicemail greeting from the app. Yeah, that should have happened around 2009 or so, but better late than never. This feature popped up in a changelog several days ago, and in a teardown in March, but the feature was not live for anyone until today. Here's the changelog. 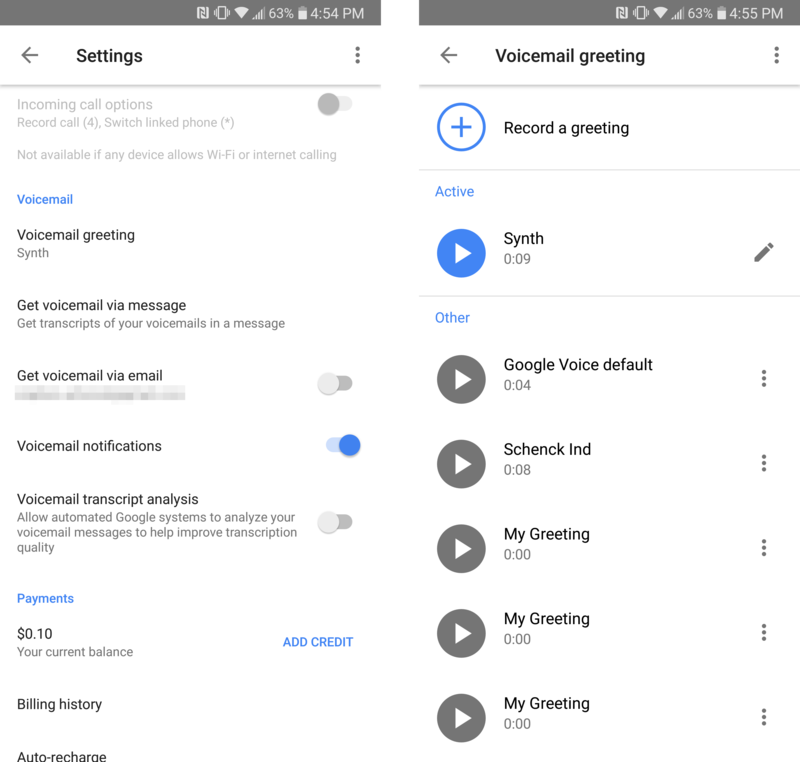 Before this update, you had to go to the Google Voice website to record and manage your greetings. That's counterintuitive when your phone has all the necessary hardware to record high-quality greetings. To manage your voicemail in the app, make sure you're on the latest v5.10 release (APK Mirror). In the settings, scroll down to the voicemail section, and there should be an option called "Voicemail greeting." That menu shows your current greeting and lets you swap between others. You can listen to them in the app and record a new greeting from this menu.